This article documents the labor issues in Indonesian plantations focusing on how changes in agrarian capitalism and state regulation have affected plantation workers. Plantation-based capitalism in Indonesia dates back to the 1860s, when European and American companies opened up the province of North Sumatra, mainly in order to produce tobacco, rubber and palm oil. This system continued long into the post-colonial period, alongside an expansion of the plantation system elsewhere from the 1960s. The 1980s saw a boom in large private estates, especially oil palm plantations, which also spread to other Indonesian islands where forested land was available. Big oil palm plantations now cover more than five million hectares. Each production unit consists of approximately 20 000 to 30 000 hectares; harvesting, the main technical operation, currently requires between two and four thousand permanent laborers per unit. From 1863 into the 1930s, private concessions expanded to cover around 10,000 square kilometers. From a 250 km stretch of coast to 50 to 70 km inland, 265 companies occupied 700,000 acres of farmland. The planters had great power during the 19th century and in the first decade of the 20th century, due to the weak presence of government representatives, political pressure from the Netherlands and the colonial government to meet the economic interests of the plantations (notably through Coolie Ordinance Acts, starting from 1880). The first plantations were established in areas with very few inhabitants, so plantation administrators organised migration from overseas to satisfy labour requirements. Planters organised the in-migration of indentured single young men: these plantation ‘coolies’ first came from China, followed by a very rapidly growing intake from Java. The system involved the recruitment and transportation of laborers from populated areas where an impoverished segment of the population represented a pool of potential labour. Using migrant labour facilitated control, as the newcomers were not accustomed to the ecological and social environment in which the plantations were established. During the 50 first years of the plantations’ land colonisation in North Sumatra, labour relations were basically coercive. At that time, no external regulation of labour relations existed, and these relations were shaped by brute force. For the planters, labour migration had two objectives: the migrants would first work on the plantation, and then settle locally, rather than return home at the end of the first contract. ‘Coolies’ who refused to work were punished through means like withholding wages, physical punishment and imprisonment. They lived in crowded conditions, unsanitary wooden huts, and the company’s doctors only treated mild diseases (seriously ill coolies were returned to their native villages). After 50 years of harsh coercion, faced with political pressure for reform as well as the many shortcomings of the existing methods of control over ‘coolies’, the planters began to move towards a less coercive system. The high recruitment costs and high mortality rates indicated the limitations of the system of brute force and poor social conditions. The colonial government abolished the indenture system in 1911, and the system was phased from the late 1920s. The former ‘coolies’ became free labourers and in-migration now focused on families rather than on single men: this family focus continues today. The planters also established new services, both to improve conditions and increase the workers’ ties to the companies. Workers and their families lived in individual houses; criminal penalties for missing work were abolished. These changes were matched by an increase in support to workers’ private lives (medical care, food distribution, the setting up of local grocery stores and the possibility of getting a loan from the company), all of which represented a broader tutelary system. 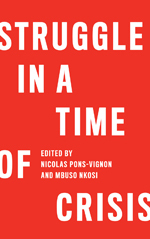 From direct coercion, the system had evolved to one of paternalistic labour relations, which provided a number of social and economic facilities while also exercising strict control over workers’ work and private lives. Despite the social advances, plantation workers and their families still led difficult lives. After World War II and the independence of the Republic of Indonesia in 1945, the country was marked by political changes, and by cultural and social struggles. The early 1950s saw government intervention in wage determination, and a labour code that enabled improvements in welfare. The working day was limited to seven hours, the working week to 44 hours; there was to be an annual review of payments in kind in line with inflation; child labour was to be limited; maternity leave was introduced. The national labour law also sought to mandate employers to play a role in the provision of housing, medical care, and access to education for working families. However, these measures did not constitute a collective and universal protection system like that found in most of European welfare states of the time: rather, they were based on a standardisation of existing company paternalism. In order to improve the welfare of the workers / labourers and their families, the entrepreneur shall provide welfare facilities. (…) Welfare facilities shall refer to, for instance, family planning services, babysitting facilities, housing facilities for workers/labourers, special rooms for prayers or other religious facilities, canteens, policlinics and other medical/health facilities, and recreational facilities. In 1965, General Suharto seised power and established a totalitarian regime: there was a tremendous slaughter, including the massacre of many Communist Party members (many of whom were plantation workers); union freedom was abolished. The new regime aimed at the restoration of profitability to North Sumatra’s plantations, which had been weakened by social demands and struggles. It also promoted the expansion of the plantation system countrywide, an expansion which boomed in the 1980s, and still continues today. Although General Suharto was dismissed in 1998, labour unions remain weak to this day, and international labour non-governmental organisations (NGOs) occupy a more important role. Another legacy of the Suharto period was the introduction, in 1979, of the retirement and health public agency, Jamsostek, which operates a mandatory pension scheme. The retirement system resembles the American pension funds system. Employees remit part of their wage to the agency every month, and the company they work for supplements the payment. When workers turn 55, the legal retirement age, they receive a lump sum equal to the total amount of the money they have saved plus interest. This created a major change in the plantation system. Essentially, the economic situation of its working families became more precarious, since a condition for receiving the lump sum at retirement was to move out of plantation-provided housing: previously, retired workers could live in such housing and receive a monthly subsidy until their death. So, the new pension system meant less paternalistic control, but it also created the need for workers to buy a piece of land and to build a house. This change had major consequences for workers’ lives, since they had to raise additional funds. This was only possible by a relaxation of paternalistic controls over workers by plantation managers, to enable workers to undertake individual economic initiatives. These had previously been banned. Previously, working families did not have the right to open a business inside or even outside the plantation compound; now they were allowed to set up their own businesses and saving plans. Relaxing control over workers was implemented by adapting working conditions, mostly by reducing monitoring and by granting permission for individual initiatives; women plantation residents were no longer obliged to work for the plantation. Today, the pattern for permanent workers is that the male head of the family works every day, while his wife can choose to work as a casual worker on a less regular basis and to spend her time elsewhere. Field surveys show that whereas workers in newer plantations have successfully addressed this new challenge, for those in North Sumatra’s ex-colonial plantations the situation is much more precarious. The more recent plantations are established in forested areas where land is still available. In their free time, and because of the inefficiency of land regulations in these newly colonised areas, plantation workers clear new areas, and plant their own oil palm trees. This access to land and this possibility for entrepreneurship has enabled a widespread process of social advancement. Quite the reverse is true in the ex-colonial plantations of North Sumatra, where no additional land is available. The saturated economic environment makes entrepreneurship difficult. Workers and their families thus face major economic problems when trying to prepare their retirement. The effect is that of territorial inequalities in the country, and growing economic difficulties linked with the continuous reduction of available land. 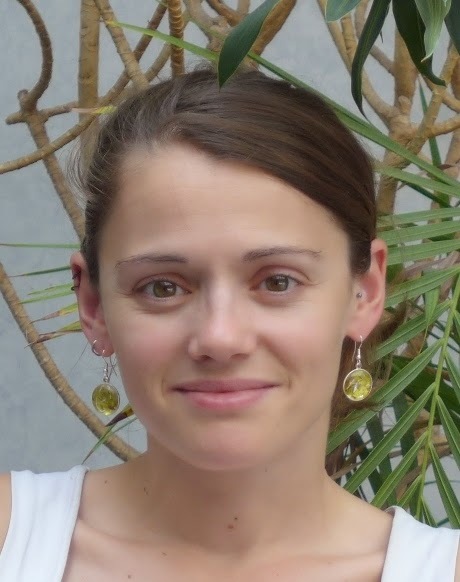 Stéphanie Barral is a French junior researcher in sociology at INRA. Her fields of interest are land and labour markets, agricultural policies and their consequences on the evolution of agriculture, in Europe or in post-colonial societies.